VIA Rail Canada issued an update today about train number 92 that derailed en route from Niagara Falls to Toronto. The accident happened at approximately 3:30 PM local time on Feb. 26, 2012 in Burlington, Ontario. There were 75 passengers and five crew members on board the train at the time of the accident, in which all six cars of the train derailed. There were numerous injuries to passengers and three fatalities, all VIA crew members who were in the locomotive at the time of the accident. They were Ken Simmonds, 56, and Peter Snarr, 52, both from Toronto. Both had more than 30 years of service as locomotive engineers with CN and VIA. The third was Patrick Robinson, 40, of Cornwall, Ontario, a new VIA employee who was on board as an observer as part of his familiarization program. "This is a truly heart-rending situation for all of us at VIA," said Marc Laliberte, VIA's President and CEO. "Our sincerest condolences go out to the family members of our employees who died in the line of duty yesterday, and our thoughts and prayers to those passengers who were injured." An investigation commenced on Sunday evening to determine the cause or causes of the accident, and will continue until the cause is determined. 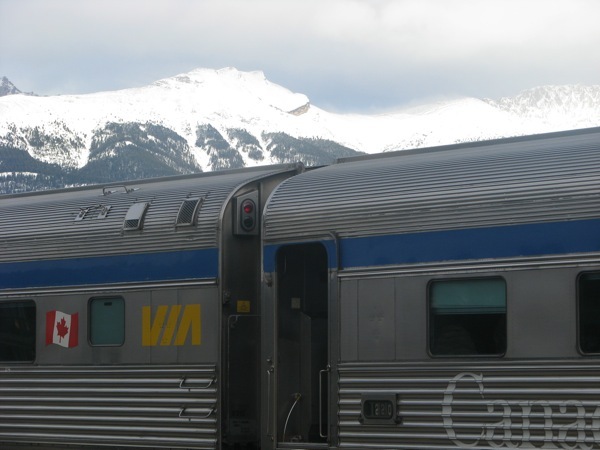 VIA Rail has put measures in place to prevent any such recurrence, and is collaborating with the Transportation Safety Board of Canada and Transport Canada in its inquiries. They will also be working in concert with local authorities and CN, the track owner. Three passengers were airlifted to hospital with serious injuries, including a broken back, broken leg and a heart attack. Forty-two other passengers and a crew member were also taken to local hospitals -- all but nine were released shortly after midnight. For those wanting information about passengers who may have been on this train, there is a special number for this purpose: 888.842.6141. VIA trains will continue to be detoured or replaced by charter bus service on the Toronto-Niagara Falls and Toronto-London-Windsor routes. 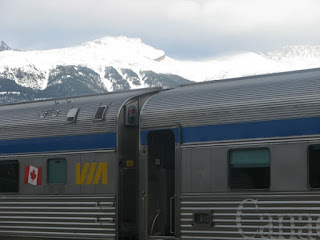 Passengers in southwest Ontario can check on the status of trains at 888.VIA.RAIL (888.842.7245) or viarail.ca.